Cornerstone Home Lending, Inc. is an accomplished, full-service mortgage bank founded on the principles of lending with excellence, integrity and distinction. Since our inception in 1988, Cornerstone and its affiliates have experienced steady growth and have been ranked as the 12th non-bank mortgage lender based on retail volume in 2012. Licensed to lend in 44 states and the District of Columbia, Cornerstone has more than 80 branch offices in 18 states. With more than 900 employees, including 700 support staff, Cornerstone's philosophy has always been to provide stellar support to its Loan Originators, allowing them the perfect opportunity to deliver exceptional service and build life-long relationships with their clients and strategic partners. 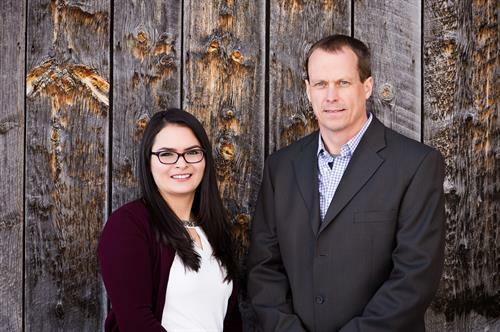 The local office of Richard Fuller and Brisa Garcia (Hablamos Espanol) have a combined 30+ years of lending and customer service knowledge in the Roaring Fork Valley and are eager help you achieve your home financing and financial goals.